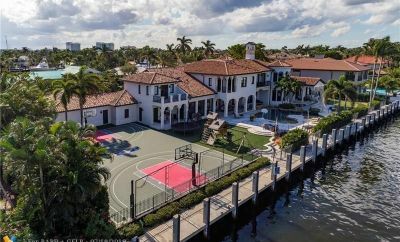 The six-time NBA champion initially listed his incredible 6 bedroom, 10 bath, 9,782 sq ft intercoastal tropical paradise in 2010 for $16 million, at one point offering the home as a luxury rental for $40,000 a month. Imagine running a game of hoops with luxury yachts rolling by. Check the stack for the images.